Pati Mestas was a firecracker. Candice Bowers a tough-minded mom. Hannah Ahlers her family's sunshine. 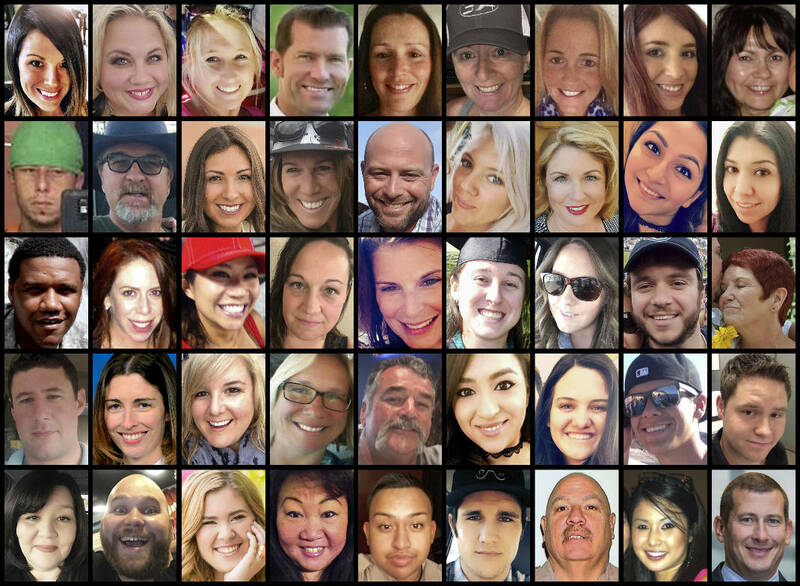 The victims of Sunday's mass shooting at a Las Vegas concert lived their lives with passion and a love of country music. Here are stories about some of the people who didn't make it out alive. "That was just done, and it was a big accomplishment to get through the adoption process," said Michelle Bolks, Bowers' aunt. Bowers also had a 20-year-old son and a 16-year-old daughter. "She had a bit of a rough upbringing, but as soon as babies came into her life she stepped up and stepped forward and never looked back. She did this all by herself and took this little one in and was doing it again," Bolks said. "As one of her faculty members noted, we will remember and treasure her for her warmth, optimism, energy, and kindness," he wrote in a message to faculty and staff. Keri Lynn Galvan was at the Route 91 Harvest music festival with her husband, Justin, when she was killed by a gunman's rain of bullets, her sister, Lindsey Poole, wrote in a statement. Her husband survived. "She was senselessly murdered on October 1st, 2017 while enjoying a night out with her husband and friends," Poole wrote. It was Brandon's mom, Pati Mestas, who was the household's country music fanatic. Pati Mestas, 67, of California, died in Las Vegas while listening to that favorite music. Magana remembered her as someone who was "fearless and bold" and always welcoming, from that first day they met. His niece described him someone who "would drive 500 miles to help you if you needed it." "Austin was a joy to be around. He always had a smile on his face, was (witty) and was always making people laugh," she said. Her father-in-law, Dave Ahlers, told the Redlands Daily Facts that she was a "great mom and family person." Ahlers lived in Beaumont with her husband, Brian Ahlers, and three children, ages 3, 11 and 14. She was a stay-at-home mom and "amazing at it," Brian Ahlers said in a statement to the newspaper. "Beautiful inside and out," he said. "She was our sunshine," Miller told the newspaper. "Night made!" she posted Saturday on Facebook after seeing the singer at the Las Vegas country festival. "I feel peace knowing she was living life until her last moments," her friend Carolyn Farmer wrote in a social media post sharing Parson's comments about the Church show. Austin Davis, 29, "had this unbelievable super power of making everyone he knew and loved feel like he'd catch a speeding bullet out of the air for them," friend Katelyn Hood told The Associated Press in a Facebook message. "He was their protector," said Hood, who named Davis as her son's godfather. He worked as a pipe fitter, loved watching his friends' dogs — especially German Shepherds — and always made sure his friends' had smiles on their faces. "Austin was Austin and no one could change him," Hood said. "He stood firm on his beliefs because he knew he was raised right."